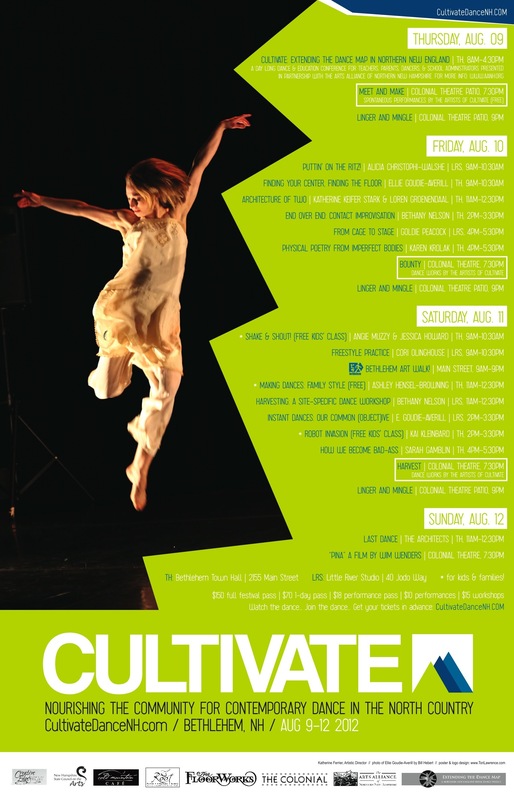 Help us Kickstart Cultivate 2013! 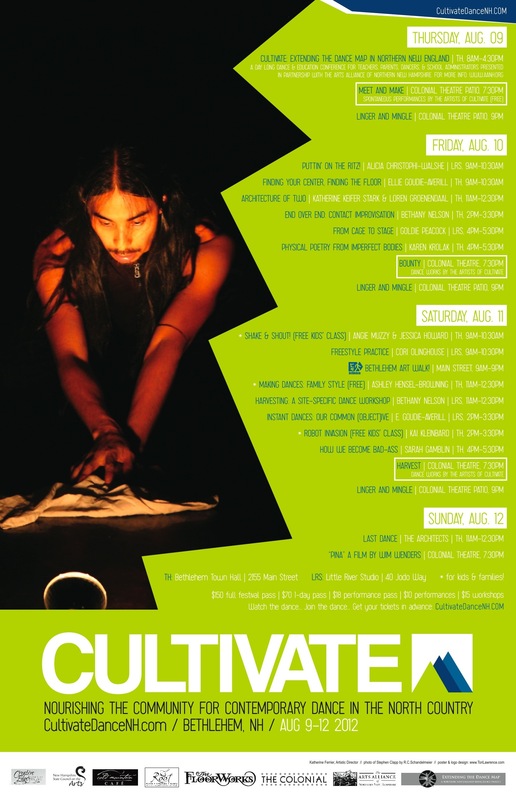 Cultivate is more than just a dance festival; it’s a way to nourish community, and practice being alive and awake in our bodies, lives and world at large. And we need YOUR help to bring it to life! Kickstarter is a groovy crowd source fundraising platform that allows folks to make amazing projects, with the support of many backers each making modest donations. Last year, over 200 backers raised $7000 in just over a week, with an average pledge of $35. Incredible! How does Kickstarter work, you ask? It couldn’t be simpler! Choose which level of support best suits you! Enjoy the great feeling of knowing you are helping bring something very cool to life! 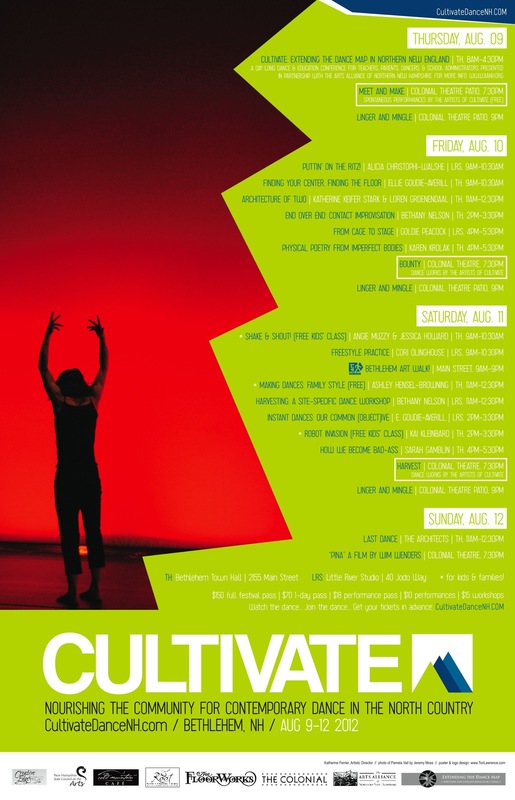 On behalf of all of the Artists of Cultivate 2013, thank you for your support! 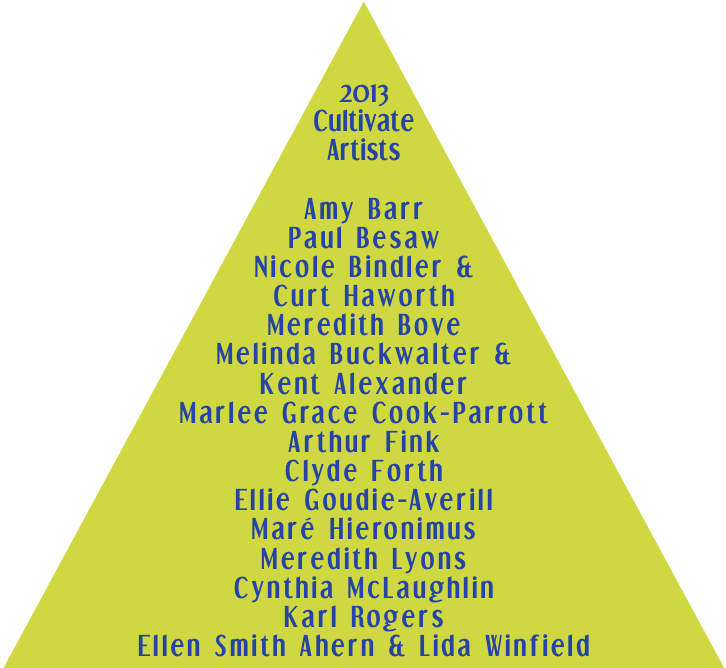 Announcing the Artists of Cultivate 2013! 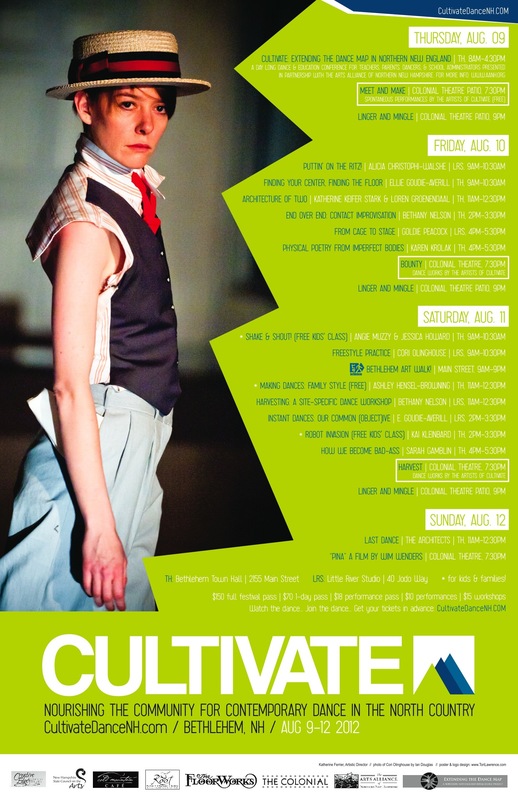 Thrilled to announce the artist line-up for Cultivate 2013! 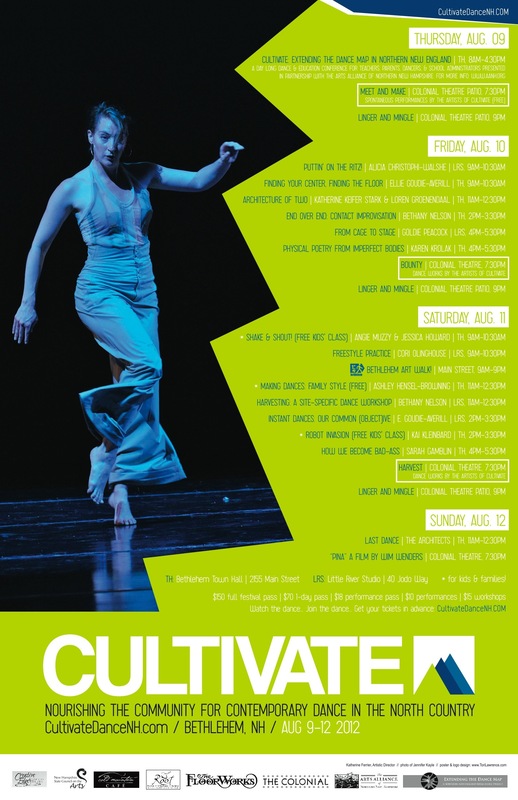 Looking forward to hosting these award-winning artists in August when Cultivate returns to Bethlehem and the Colonial Theatre, August 15-18! 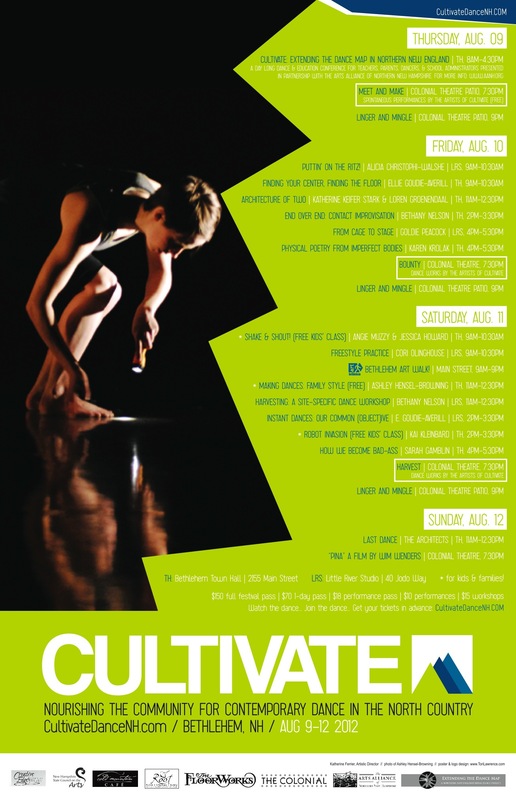 Overwhelmed with beautiful proposals to come share work and be a part of this year’s Cultivate festival. An embarrassment of riches, a glorious overflowing. Mille gracias to all of you who care so much about growing a community from the ground up! 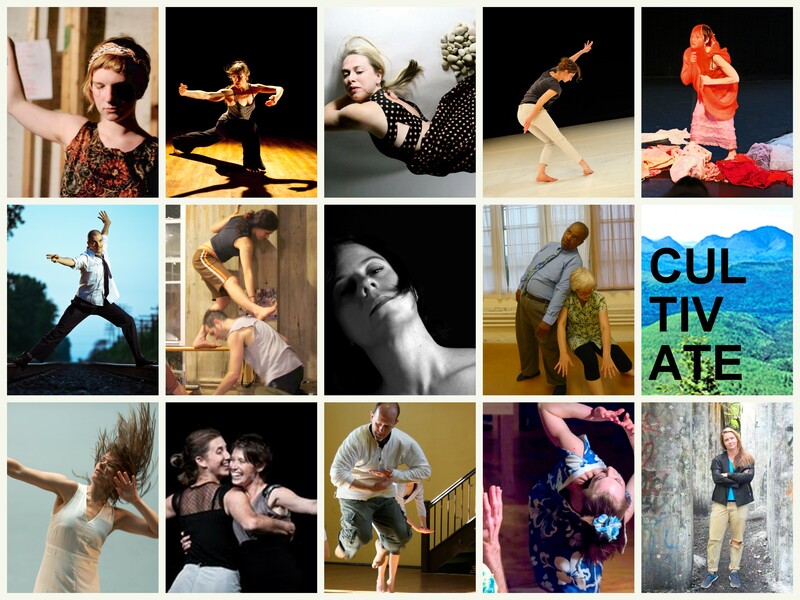 Look for this year’s line-up of artists to be announced mid-May! 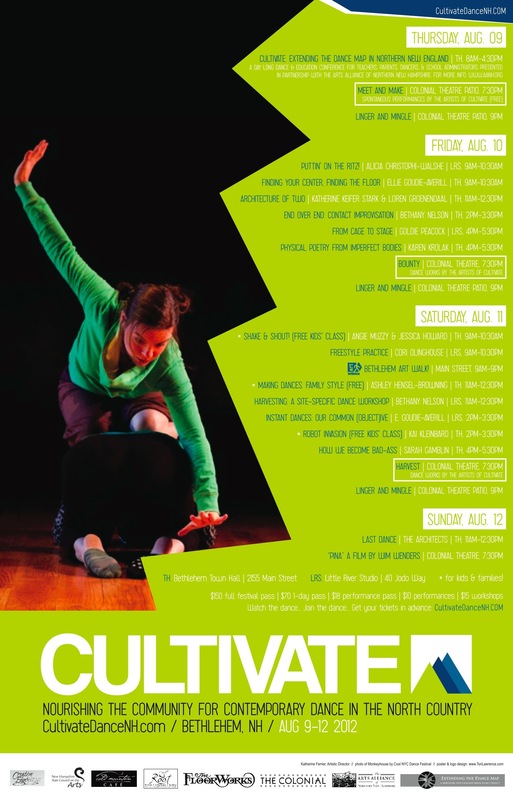 Cultivate 2103 returns to the Colonial Theater in Bethlehem, NH this August! Thursday, August 15 – tuesday, August 20, 2013. Stay tuned for more information and a Call for Proposals!